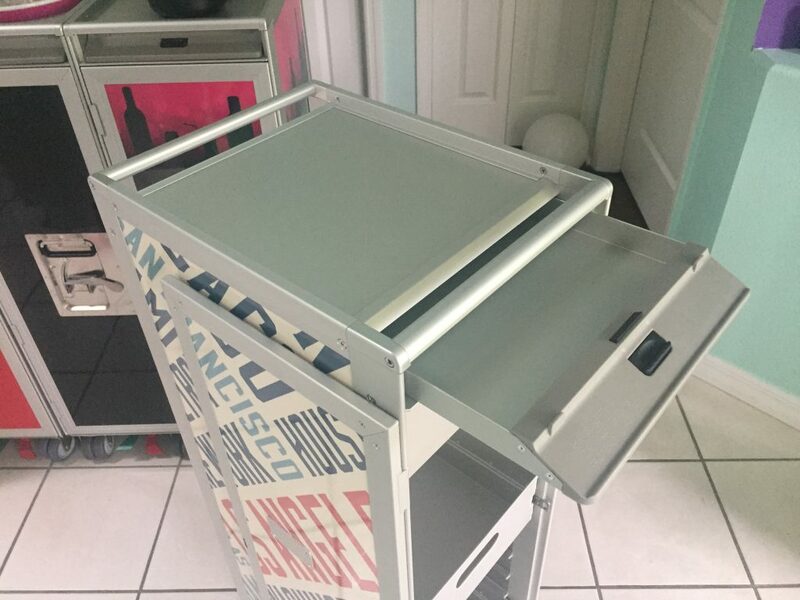 Why Does a SkyCart have a Dry Ice Drawer? This is the Dry Ice Drawer. It comes with every SkyCart. You do not need to order it separately, it is part of the basic SkyCart. This Dry Ice Drawer is part of the original ATLAS standard. At the time the airlines filled these drawers with dry ice to keep the food cool during the long flights. Today, some still use it that way. Other airlines have installed refrigerated bays where they park their airline trolleys during long flights. At home, in the office, or at an event you might still use the drawer to keep food items cool. You can buy dry ice at many super markets. Cool! But where have I seen one of these before?